Sometime around the 18th Century the idea came up to have little delinquents working for the public. This was called the "Schellenwerk". 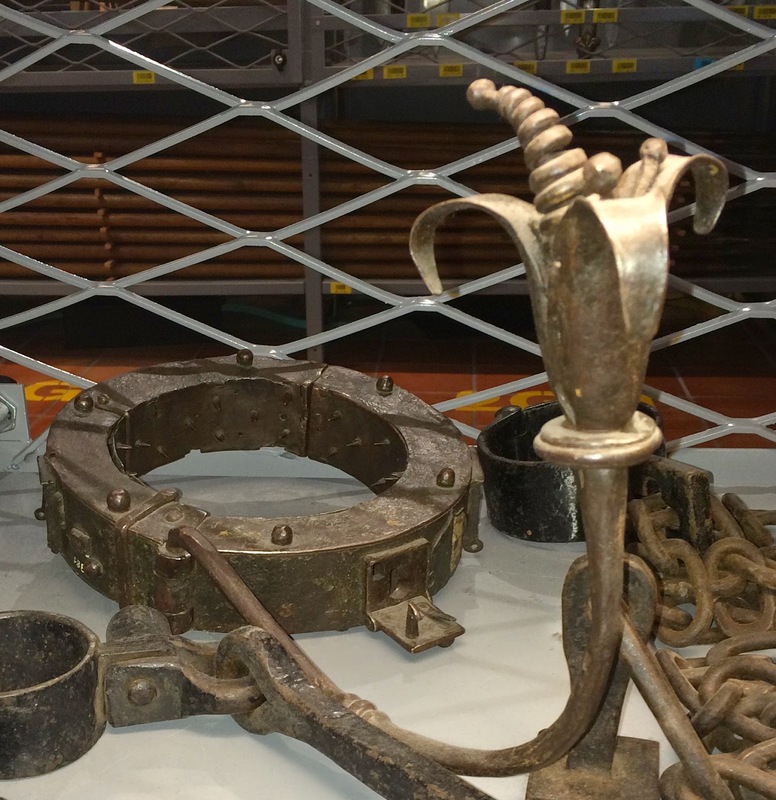 People sentenced to "Schellenwerk" were put in chains and the chains were equipped with clamps. In addition the "Schellenwerker" were put on a heavy neck ring with a big clip called the beak. So that everybody could see and hear them. During daytime the Schellenwerker had to do hard work like construction working or reparing the damm in wintertime, standing in the river. At night they were locked into the Weggistor, which was located at the end of the Hertensteinstrasse. It has been reported that the Schellenwerk was also used to motivate work-shy young adults. Neck ring with a "beak"